AN OUTLINE planning application for the 6,000-home Welborne garden village is unlikely to be determined this year. That was the blow dealt last night as Fareham councillors united for an update on headway toward the landmark development’s realisation. The project is being led by Hampshire-based Buckland Development Ltd (BDL), which owns 90 per cent of land earmarked for the site. Welborne strategic lead Sarah Ward assured councillors last night progress on the application was ‘good’ but it was also heard there are ‘significant issues’ to be addressed before it is lodged – now making it likely for the application to be decided at the ‘beginning of next year’. ‘It is clear from tonight there is still a lot to be worked out in terms of bringing forward the outline application, which I think every member desperately wants to see,’ said Lib Dem councillor for Portchester East, Shaun Cunningham. ‘But if we want a proper development, officers need to work it through – and that all takes time. 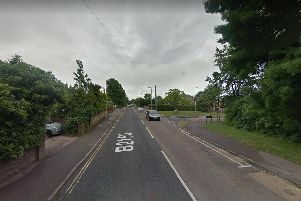 As part of Tuesday’s update at the town’s Civic Offices, it was reaffirmed to councillors Welborne would contain three bus stops – with a rail halt ‘technically feasible’, but not yet confirmed. But other aspects surrounding infrastructure were less certain, as Ms Ward highlighted ‘slow progress’ on the design of the new-look M27 Junction 10 – thanks to coordination issues linked to the plan for a smart motorway – and no agreement yet made on health provision at the site. Aside from these issues, there is fear BDL’s proposals for a high-spec ‘design code’ scheme across Welborne – dictating the aesthetic identity of the build – could be turning it ‘exclusive’. Cllr Nick Walker, of Portchester West, said: ‘I’m concerned because I think this is going to be a well-planned development, but I think it’s going to be exclusive. As previously reported, Fareham Borough Council’s draft local plan for 2036 outlines a need for 3,300 homes. However, Welborne is not included in that figure – being the subject of its own Welborne Plan, which was adopted by Fareham Borough Council in 2015.